We are pleased to announce the recent arrival of four new machines which have been added to our ever growing fleet! 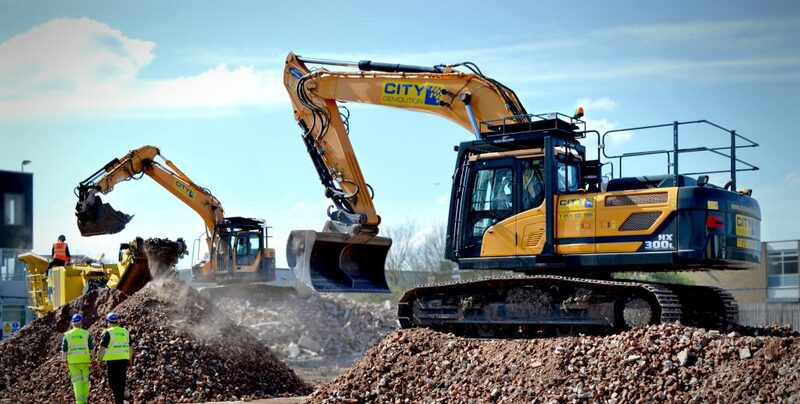 Welcoming three new full Demolition specification Hyundai HX300L and one Hyundai HX380L all fitted with Oil-quick fully automatic quick coupler systems, Delivered and headed straight to work on various sites we have live around the UK. Check out our Instagram page @citydemolition to see them in action! Download Our Brochure! FORS Bronze Awarded!